The month of July is here with us once again. The hot season is also here in full gear. 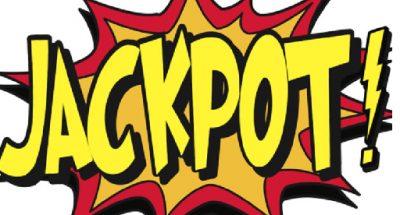 So far, the week has recorded outstanding wins of progressive jackpot across the board, which includes two new millionaires and a number of players who received an incredible boost in their bank accounts. This Thursday, a lucky player hit a swelling jackpot of Playtech’s Beach life just in time for the beach season pocketing a ridiculous sum of 5.7 million dollars. In fact, this is one of the biggest jackpot winnings in history besides $8.2 million that was won by a player at BetFred casino in February 2012. This is the right time for players to start spinning since the Beach Life Jackpot has now been reset. Players can access the beach life at Winner Casino anytime and from anywhere. Sign up today and you could be the next lucky winner of the lucrative jackpot! A player at 888 Casino has received a payout of $1,747,918 jackpot from Random Logic’s millionaire genie game this past week. This is a long-time slot known to payout very notable amount of money to players in history but is also one of the hardest in the online casino industry. In May,2015 $3 million was paid out to a player at 888 Casino. In addition, in January, a player at 888 hit the Millionaire Genie biggest jackpot and pocketed $5,194,129. As such, it is evident that all indicators show that you stand a higher chance hitting the Millionaire Genie jackpot at 888 Casino. Another notable jackpot that was hit this week was Wall St Fever. A player took home $164,387 after spinning this popular slot powered by Playtech. Wall St Fever may not be a perfect example when it comes to making one a millionaire. However, it is a good example for those progressive jackpots with less odds but are able to deliver very great wins for players and more frequently compared to other jackpots. A few months ago, players have been able to hit jackpots ranging from $20,000 to $70,000 in Wall St Fever jackpot in different casinos. Conversely, smaller but notable wins have also been recorded such as $4,891. You can try playing Wall St Fever at Casino Las Vegas as it is getting more popular each day.